With a fully loaded truck, park on level ground, chock the wheels and turn off the parking brake. Pull the valve all the way out to activate the scale. 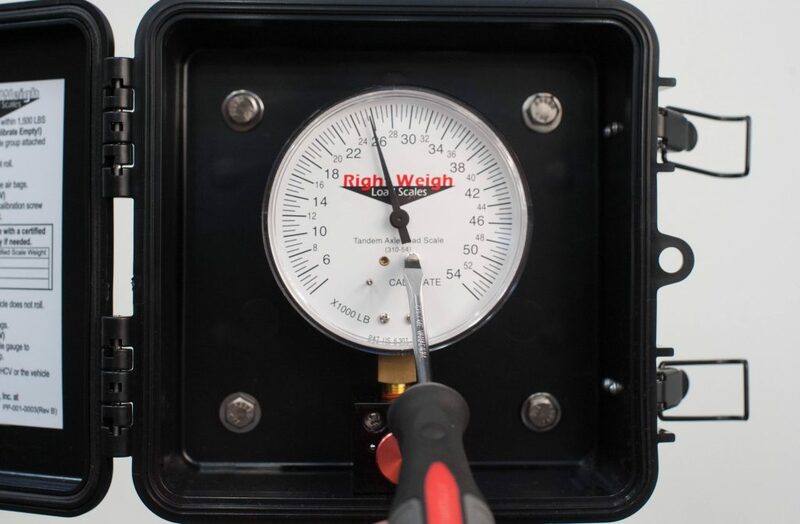 Using a flat blade screwdriver, adjust the calibration screw so that your Right Weigh scale matches the certified scale ticket weight for the axle group it is monitoring. 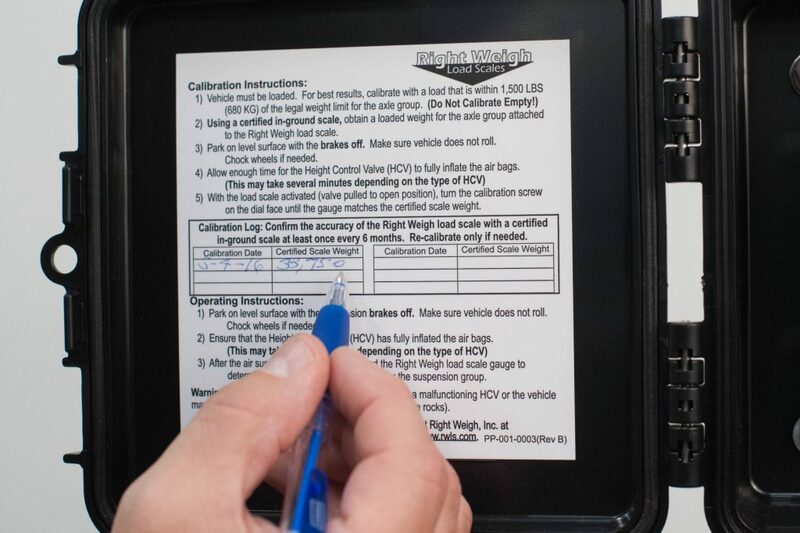 Write the date and the certified scale weight in the calibration log. 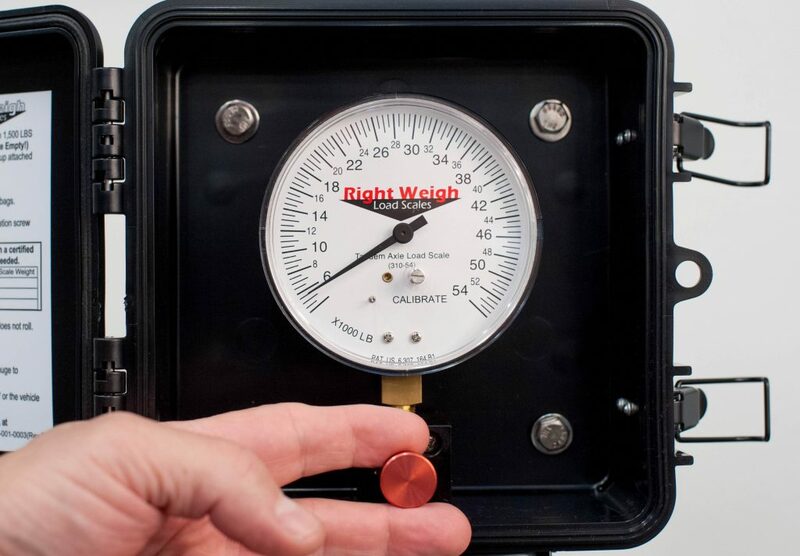 Calibration should be checked every 6 months. 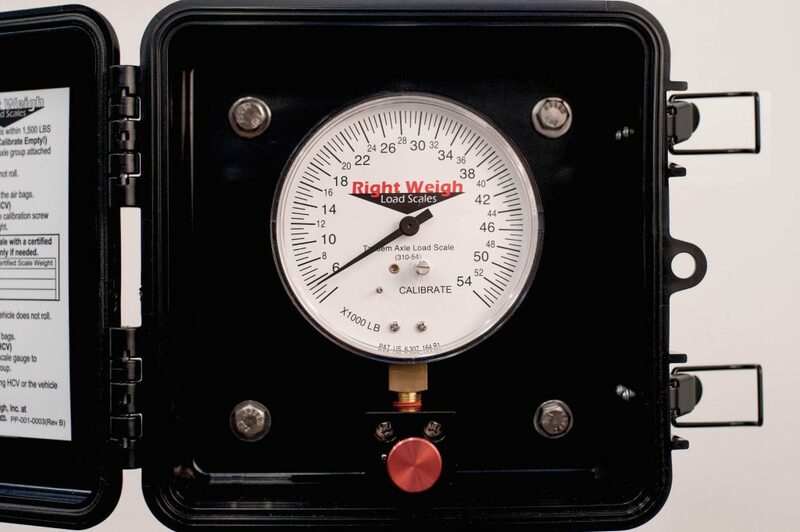 Your scale is now calibrated and ready to use!